1. Our Terms and Conditions of Sale and Supply (TCS&S) apply exclusively. Deviating Condi-tions of Purchase of the customer shall not be effective unless we expressly accept them in writing or by Email with qualified electronic signature. After formation of contract, deviating Conditions of Purchase may be integrated formlessly. 2. Our TCS&S shall only apply towards customers that are businesses in the sense of section 14 of the German Civil Code, or public law entities (comprising such not having the status of a legal person). 3. Our TCS&S apply on all future relations between the parties, even if not agreed upon expressly. 1. We reserve the right to revoke our offers until their acceptance unless we designate them as binding. 2. Product characteristics mentioned on our website, applicable catalogues or similar materials are not binding, unless such characteristics were agreed upon with the customer or the customer relies on them legitimately due to our public utterance. 3. Deviations from product characteristics agreed upon shall be deemed according to the contract if the deviation reasonably has to be accepted by the customer, or does not or not substantially reduce the suitability of the product for the contractually presupposed use, unless we represented the missing characteristic or could realize that it was of major importance for the customer, or its absence endangers the sense of the contract. 1. All prices are net prices, computed in EURO, exclusive value-added tax (VAT). Additional fees may apply for deliveries of dangerous goods, for special packaging and transportation or other incidental costs. 2. Our prices are binding according to below standing para. III. 3. 3. If lead times agreed upon are more than 3 months, we may increase or have to reduce the prices agreed upon in the scope of market prices, if, after formation of the contract our costs increase or decrease, especially due to changes of cost of materials. Irrespective of the lead time agreed upon, we may have to adapt our price to the market price, if such has changed more than 4.5% between the date of contract formation and the delivery date agreed upon. 4. If customer’s default with a payment lasts longer than 30 calendar days, or a insolvency petition is filed against customer, we shall be entitled to set due and payable the whole of the price of all goods bought or agreed to be bought by the customer, to retain all deliveries and services, and to demand return of the reserved goods or to collect them from third party areas and take posses-sion of them. 5. The customer shall not be entitled to any right of retention or refusal or offset of his counter-claims against our claims unless the counterclaims the customer exercises retention or refusal for or sets off against our claims are uncontested or res judicata. 1. Deadlines for deliveries are deemed to have been met when the goods are handed over to the forwarding agent. We shall notify the customer on its request of the readiness for shipment. 2. Deadlines for deliveries are agreed upon on the basis of our expected ability to perform and are subject to all facts, events and circumstances not attributable to us and not given at the time of the formation of contract. Such circumstances are especially force majeure, and other unforeseeable events. Such circumstances lead to an extension of the delivery date, even if occurring during our default with delivery. In such case, also an additional period fixed by the customer, is extended by the duration of such circumstances. 3. If we are in default of delivery for more than eight weeks, customer may rescind the contract after fruitless expiration of a reasonable additional period fixed by customer. We compute periods of default regardless of circumstances not attributable to us, such as mentioned in para. IV. 2. 4. We reserve the right to rescind the contract in cases of a delay in the delivery not attributable to us, such as mentioned in para. IV. 2., lasting more than eight weeks. 5. Partial deliveries and services shall be acceptable if we have a (i) justified interest in these, including but not limited to cases of bottlenecks in our supply markets and (ii) these are accepta-ble to the customer. 1. We retain the title in any items delivered by us prior to the receipt of all payments due from customer’s business transactions with us, irrespective of their legal grounds. Claims subject to a condition precedent are included. 2. Until payment in full of the purchase price, customer shall not pledge the goods, assign or transfer them as security, or otherwise charge them with the rights of any third party, but may sell them in the ordinary course of business. The customer shall make the passing of title of the resold goods subject to their full payment. 3. The customer assigns already now any of its claims resulting from the resales, containing any items subject to retention of title, including any associated rights. However, the assignment shall cover only the amount of the price we quoted, including VAT. 4. The customer is entitled to collect the purchase prices from resold goods until further notice. If we set due and payable the whole of the price of all goods bought or agreed to be bought by the customer pursuant to para. III. 4., customer is obliged to inform its buyers from the assignment pursuant to para V. 3, to provide us all necessary information, present all relevant documents, resp. make available to us its bookkeeping for information purposes. 5. If the value of the security provided to us exceeds the value of the claims to be safeguarded by more than 30 per cent, we shall, at the customer’s request, bring the excess coverage down to 30 per cent by releasing security of our own choice. 6. We shall be notified without undue delay of any third-party seizure or other event affecting our property and customer has to give us reasonable support with our intervention. Customer has to bear the cost of such intervention having been successful but the costs not being recoverable from the defendant and compulsory execution against the defendant being fruitless. 7. If the law in customer’s country does not recognize retention of title, but allows us to retain other rights in the delivery, the customer shall assign such rights to us. 1. The risk of loss and/or damage to goods supplied by us shall pass to the Customer when they are handed over to the transport person, the transport person´s mandatory or other person we authorized, unless we deliver the goods with our own employees or vehicles to the customer. Should shipment be delayed due to circumstances beyond our control, the risk shall pass to the customer upon notification of readiness for shipment. These provisions about passing of risk also apply on returns after correction of faults, repair works at customer’s cost, and replacement delivery. 2. On request of the customer and at its cost, we will insure the goods delivered against the risks notified to us by the customer. 1. Storage: We recommend temperatures that enable the goods to be stored for several months. As experience has shown, such goods can be transported over several days without loss of quality. Thus, we will only ship such goods as refrigerated shipments on special request of purchaser and at an additional charge. 2. Refrigerated Shipments: Particularly unstable items will be shipped in insulated packaging as refrigerated cargo at an additional charge. 3. 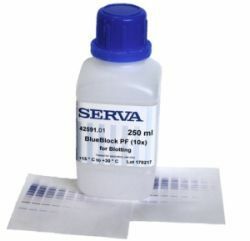 Limited Usage: Products supplied by us are for in vitro, laboratory, and research use only. All our products may only be used within the confines of a laboratory and under the supervision of a qualified technical person. The further sale or passing on of our products to private persons is forbidden. At our own discretion, we may request the purchaser to provide us with written confirmation that the goods purchased are not used for applications other than laboratory or research use or are resold only for such purposes. 4. Poisons: Toxic substances are only shipped to industrial users, agents, qualified research-, hygiene- and teaching institutions on the basis of written purchase orders. The full name of the individual responsible for purchasing must be clearly visible on the order. Toxic substances may not be passed on to private individuals; toxic substances may only be used by qualified personnel in accordance with all necessary safety regulations. 5. Safety Data Sheet: On customer’s request, we will send customer a safety data sheet about each product. 1. Customer has, without undue delay, to examine the goods and notify us in writing of any recognizable defects and shall, as far as possible with reasonable efforts, specify the defects found. 2. In case of warranty, we may, by way of derogation from Sec. 439 of the German Civil Code, at our discretion, repair or replace the delivered goods. 3. The limitation period in cases of deliveries where Section 438 para 2 No. 3 of the German Civil Code (about limitation period) is applicable, is limited to only one year. This time-barring reduction does not apply for claims based on an intentional or grossly negligent breach of duty on our part and for claims, where our liability is not limited pursuant to para IX.1. 4. Any further claims because of defects of the delivered goods shall be excluded unless other-wise provided for under the following section IX. 1. Irrespective of the legal grounds thereof, our liability is unlimited in case of (i) any form of intent; (ii) personal injuries, including such followed by death; (iii) breach of a guarantee, as far as our guarantee goes; (iv) liability pursuant to the German Product Liability Act or any other mandatory statutory liability regulations; and (v) misrepresentation. a. In case of gross negligence of persons, we use to perform our obligation, our liability is - irrespective of the legal grounds thereof - limited to 100,000 EUR and we are liable only for the foreseeable damage typical to such contracts, provided that such persons are no organ or member of the executive staff and do not breach material contractual obligations whose fulfilment is necessary to attain the purpose of the contract („cardinal obligations “). In all other cases of gross negligence, our liability is unlimited. b. In case of slight or normal negligence we are liable only if we breach material contractual obligations whose fulfilment is necessary to attain the purpose of the contract („cardinal obliga-tions “) and our liability is limited to 50,000 EURO - irrespective of the legal grounds for our liability. c. Should, in a case our liability is limited to a certain amount, the amount (principally) covered by our insurance exceed such limitation, we are liable to the amount of such insurance sum. 3. The above provisions apply accordingly for the personal liability of our employees, repre-sentatives and organs. The invalidity or non-enforceability of any term of the present General Conditions of Sale and Supply shall not affect the validity of the remaining terms and conditions thereof. 1. Place of performance for all our contractual obligations is D-69115 Heidelberg. Place of jurisdiction for all disputes arising out of the contractual relationship is Heidelberg. We have the option to sue the customer at its general place of jurisdiction. 2. German law shall apply. 3. Customary terms of trade shall be interpreted in accordance with the INCOTERMS current at the time. 1. SERVA is a limited liability company registered in the commercial register of the Local Court of Heidelberg und HRB No. 336136, duly incorporated for an unlimited duration, and validly existing under the laws of Germany. 2. Our registered offices are at Carl-Benz-Strasse 7, D-69115 Heidelberg, Germany. This address shall be used for all notices. 3. Our taxpayer’s identification number for value-added tax (Umsatzsteueridentnummer) is DE 812517285.